There are three signed trails in the park. 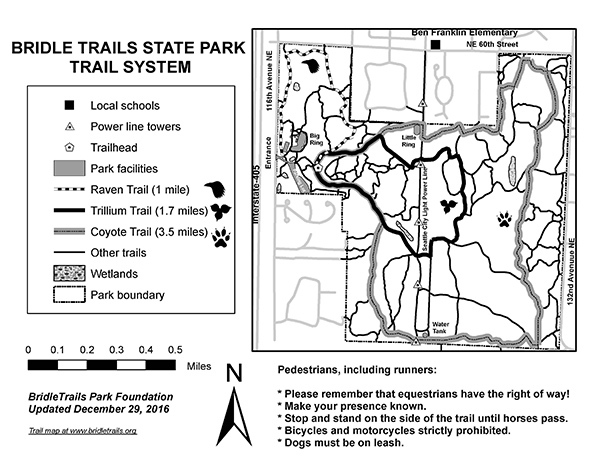 A kiosk is located at the main trailhead with a map of the three loop trails described below. The main trailhead is located up the hill from the northwest corner of the parking lot. Please take care to follow park rules so that everyone can enjoy this wonderful park. The Trillium trail has 10 interpretive signs along its route.